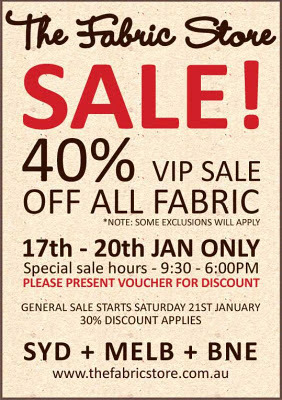 The fabric store 40% off Sale. 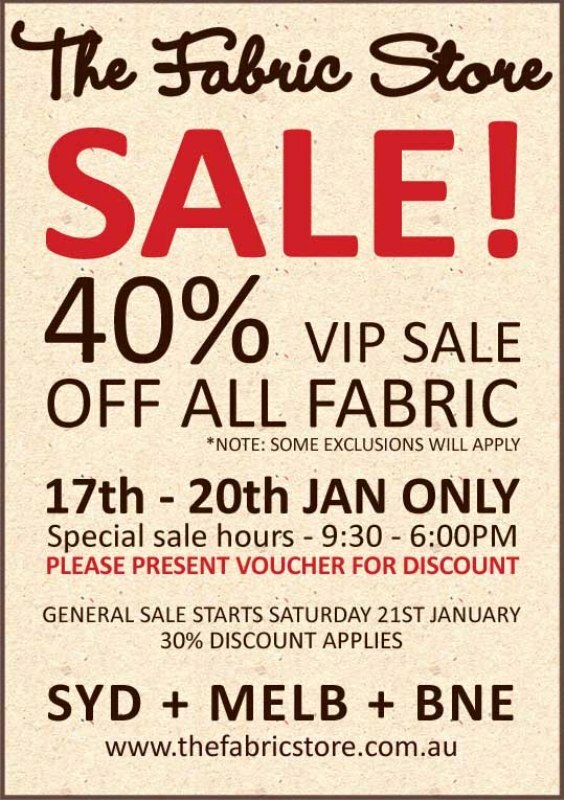 This might interested all you local fabricoholics . I should really stay away but who knows what will happen! I wonder if they finally have the swimwear fabric on sale? Last year was a very big year for myself & Ben. In ways, it was a good and bad year. We bought a house, we have a very special fur child who came into our lives, friendships started & a friendship ended, babies come into the world, and people departed. For the most part, I was happy to be seeing the back of 2011, because I know that things can only get better. 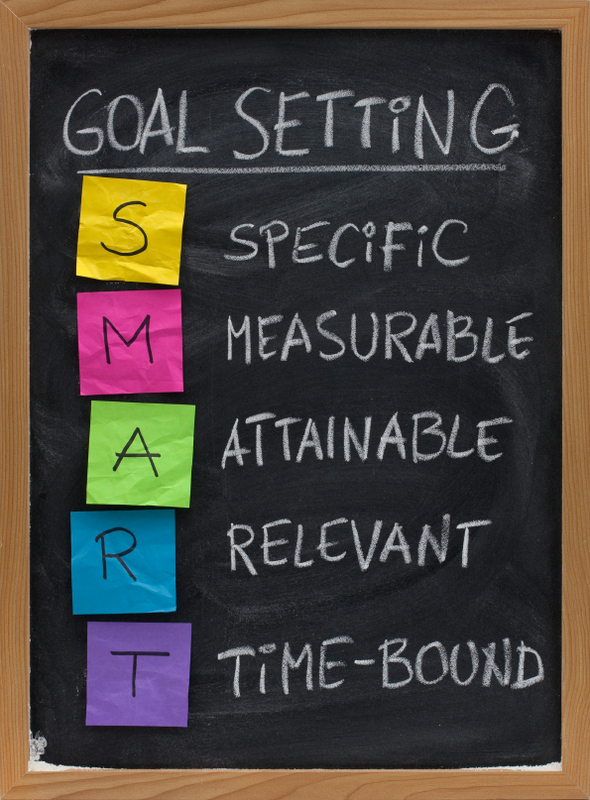 I work well with goals, especially if they are time related. I find it very satisfying to cross things off my list. I wrote most of these last week, some have been on my list from last year, mostly the house goals. I'm looking forward to seeing big ticks on my list this year. Spend the day in Daylesford and surrounding areas. Visit Werribee Mansion & Garden. Go to Warrnambool for a long weekend. Get Basil into obedience school. 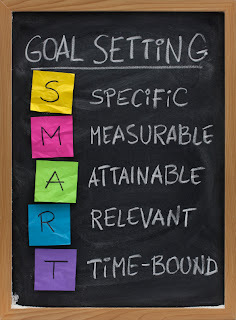 Blog more but keep the content high quality. Attend a get to know you over locker class. Sew 15 items this year. Be quicker when making said 15 items. Sew 4 Colette Patterns this year. Ginger again, Chantilly, Rooibos and Crepe. Stash Bust where possible. Buy some garden statues/ decor, weather vane & a metal cow are high on the list. Level back yard, lay down turf & keep it alive. Design a children’s area include a cubby house. Find box bay window with diamond panes. Use as much period/second hand etc material as possible. Put up more photos in the house. So there it all is! Hopefully I can get most of it done, or at least in progress before the end of the year, although I'm sure time will fly.